In 1960 a Trust Fund became available which enabled the trustees to demolish the original building, dating from 1891, and build a new one on the land. The original opening was onto Bright Street but the new one opened onto Cobden Street. 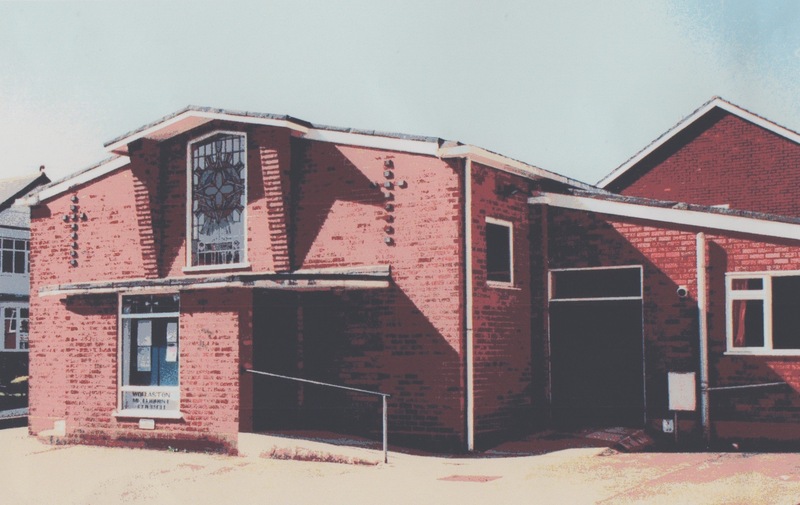 Work began in 1960 and the opening service was held on 15th July 1961. A memorial window was set above the entrance porch and dedicated to the founders of the trust and inscribed:- “In affectionate memory of Frank Ingham and Kate Whitehouse Payne, who gave this house to the Glory of God.” The organ was dedicated on 10th September and the total cost was £7,500.